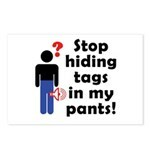 Home > Funny > Stop Hiding Tags In My Pants! 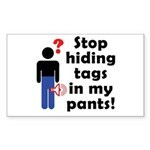 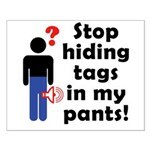 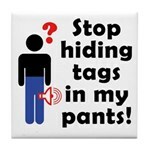 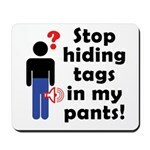 Stop Hiding Tags In My Pants! 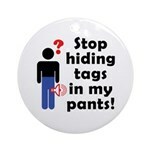 Have you ever been stopped by security because a hidden anti-theft tag in your clothing was setting off alarms? 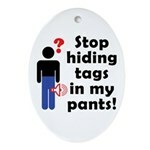 Some manufacturers hide their security tags in places impossible to find. 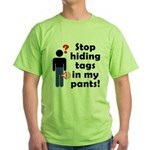 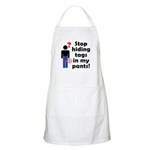 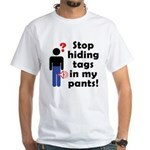 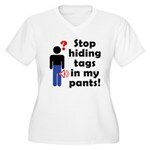 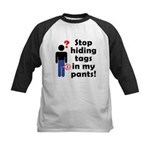 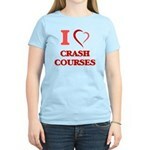 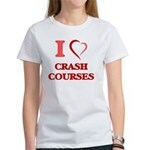 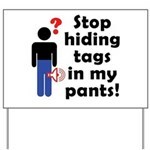 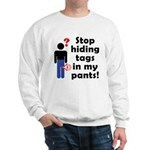 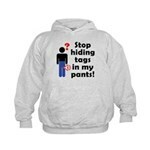 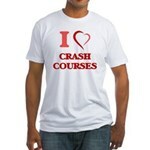 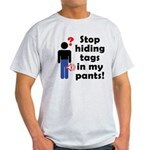 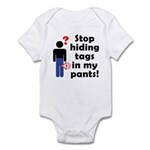 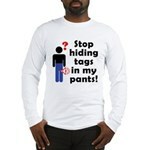 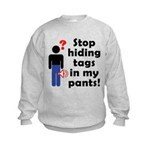 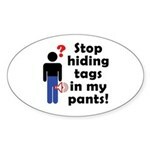 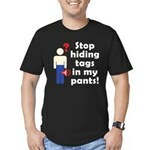 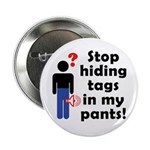 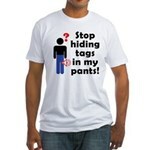 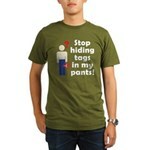 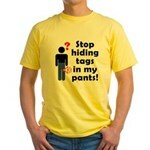 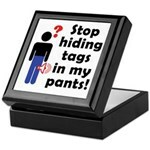 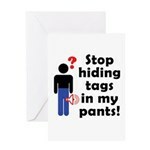 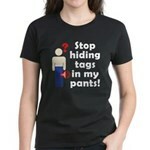 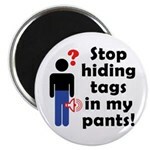 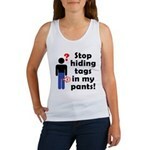 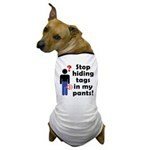 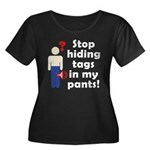 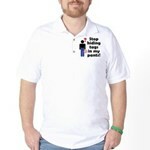 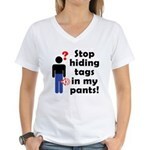 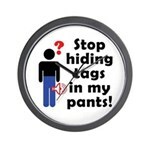 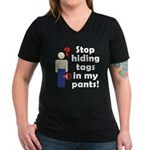 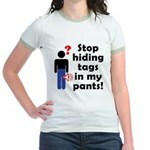 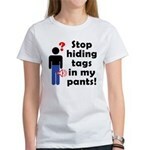 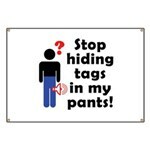 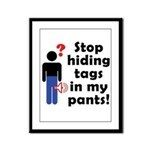 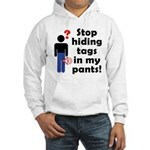 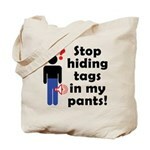 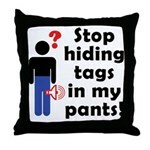 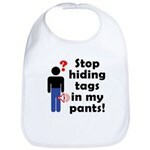 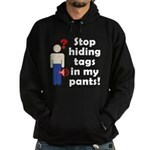 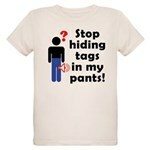 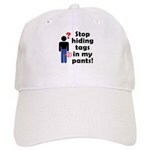 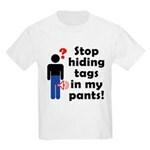 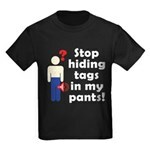 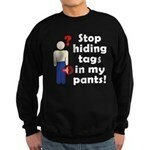 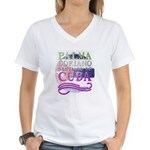 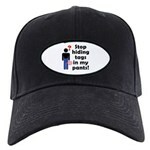 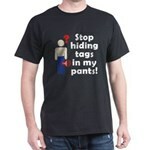 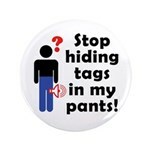 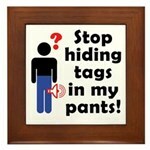 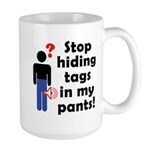 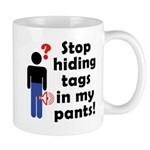 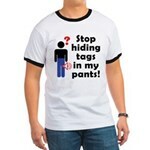 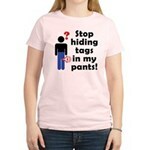 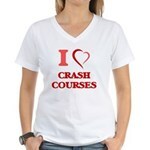 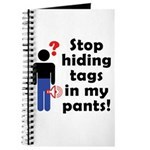 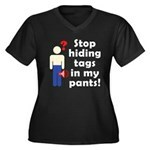 Funny t-shirts and apparel that read stop hiding tags in my pants!